As you would think, they specialize in pizza and subs. 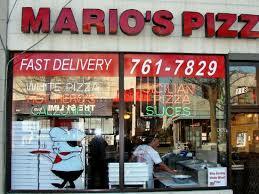 Offering both NY style, Sicilian pizzas, calzones and strombolis. The menu also offers a large appetizers subs and sandwiches and salads. Debbie had a Chef Salad and I had the sausage parmesan 12 inch sub. Both were great. Good job guys!